The European Commission’s updated Agenda on Security was launched on 28 April in Strasbourg by Vice-President Frans Timmermans and the Commissioner for Migration, Home Affairs and Citizenship Dimitris Avramopoulos. The Agenda replaces the previous strategy and follows a commitment made by the European Commission President Jean-Claude Juncker in his Political Guidelines. The purpose of the Agenda is to set out the EU’s strategy to tackle security threats over the next five years. It will form the basis for cooperation and common action between the EU, its institutions, member states, civil society and other partners. The proposed measures are intended to address new security challenges faced by the EU at present, including the rise of terrorism, organized crime and cybercrime. The Agenda aims to improve and facilitate information sharing and to increase operational cooperation between national police, judicial authorities, and the EU agencies, in particular Europol and Eurojust. In the fight against terrorism, the Agenda foresees the establishment of the European Counter Terrorism Centre, the improved financing of counter-terrorism activities as well as the launching of an EU-level forum involving IT companies, which are aimed at developing tools against online terrorist propaganda. Measures are also proposed to facilitate the tracking of the financial dealings of organized crime networks by reinforcing the powers of financial intelligence units and by enhancing the powers of national authorities to freeze and confiscate illicit assets. In the area of combating cybercrime, the Agenda proposes to overcome obstacles in criminal investigations by facilitating access to evidence of law enforcement authorities. One of the most significant and controversial of the newly proposed measures is the establishment of a European Passenger Name Record (PNR) framework. This would oblige airlines to provide EU member states with the data of passengers entering or leaving the EU, and require the more systematic collection and use of PNR data. Such measures would likely contradict the principle of Freedom of movement and disproportionally influence privacy of the passengers because the information gathered would even include, for example, financial data, association between travelers, religious meal preferences and special service requests that describe details of physical and medical conditions. The proposal had been previously rejected in 2013 and was proposed again in the context of the terrorist attacks in Paris earlier this year. 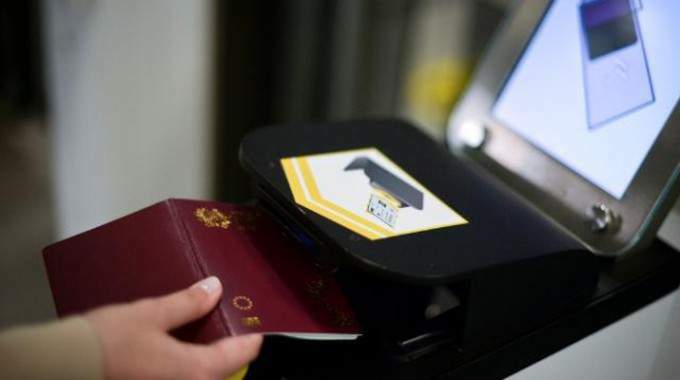 A further provision in the Agenda with significant consequences for the freedom of movement is the proposed broadened use of the Schengen Information System (SIS) by law enforcement authorities in respect of wanted or missing persons and objects. In practical terms, this could involve enhanced monitoring at external border crossings by EU citizens exercising their right to free movement. Both such measures would likely contradict the Freedom of movement principle, a fundamental principle of the EU, as well as the principle of non-discrimination on the basis of nationality. In the discussions that preceded the adoption of the Agenda, European politicians and civil society organizations clearly warned against potential impacts on the Freedom of movement of EU citizens. ECAS, together with European Movement International (EMI), put forward a Resolution on safeguarding the Freedom of Movement in the light of new security measures. In its Resolution, ECAS and EMI promoted two sets of recommendations aimed at improving the Agenda to better protect the Freedom of movement. These included engaging the EU institutions in a debate on the necessity for the Agenda measures and their compatibility with the Charter of Fundamental Rights, the creation of an inter-institutional task-force on security cooperation and its assisting body, and an independent ad-hoc expert group. Based on its Seven Strategies to Improve the Free Movement of Persons, developed in coordination with the EU Rights Clinic, ECAS further promotes several recommendations for the general improvement of the Freedom of movement in the EU. These recommendations aim at strengthening the European Commission’s power to investigate the breaching of free movement rights, harmonizing data collection regarding free movement in the member states, empowering civil society organisations to help citizens overcome obstacles, and deepening the collaboration between member states on Freedom of movement.